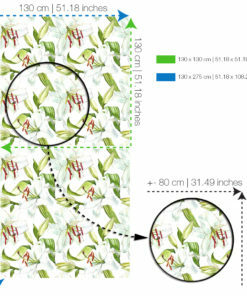 Welcome to Moonwallstickers.com, the wallpaper shop with the most amazing peel and stick wallpaper designs, choose Lily Watercolor Pattern Wallpaper. 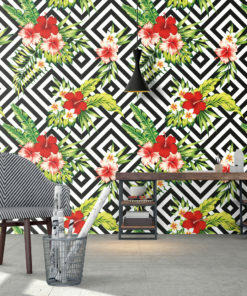 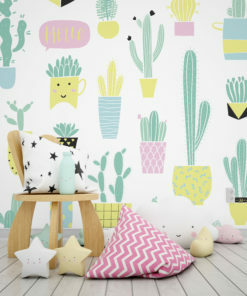 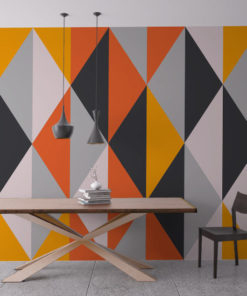 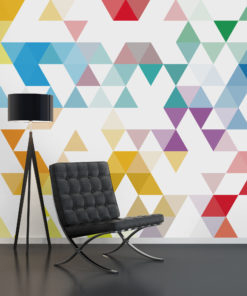 First of all, our wallpapers are designed to allow you to make the perfect wall art on any room of your home or office, furthermore, unlike traditional wallpaper you will not need to apply adhesive or paste. 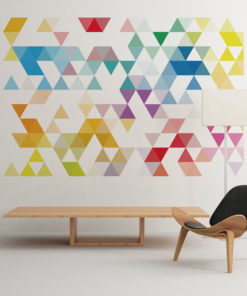 Simply apply it to the wall and finally you’re done, the perfect wall art! 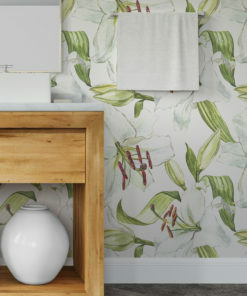 Peel and stick wallpaper is also just as easy to take off as it is to put on. They certainly are amazing for a perfect interior decor for home, office and also apartments, dorm rooms, temporary decoration such as for parties and even furniture decor. 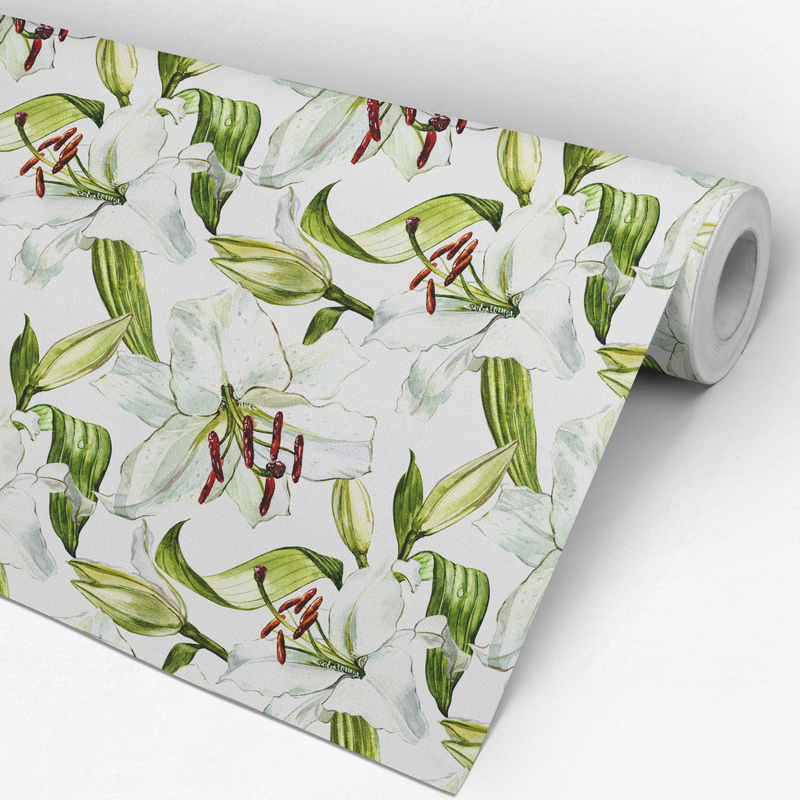 Most noteworthy, we suggest the Lily Watercolor Pattern Wallpaper as it is a beautiful and amazing wall decoration and consequently a gorgeous choice. 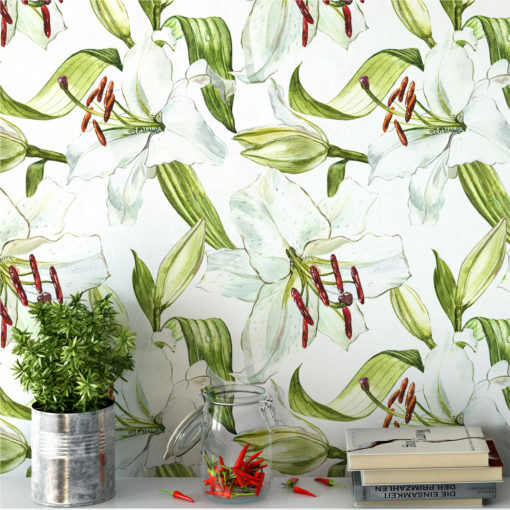 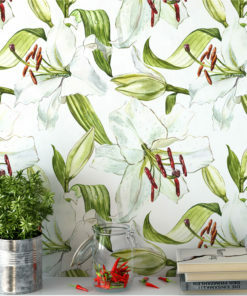 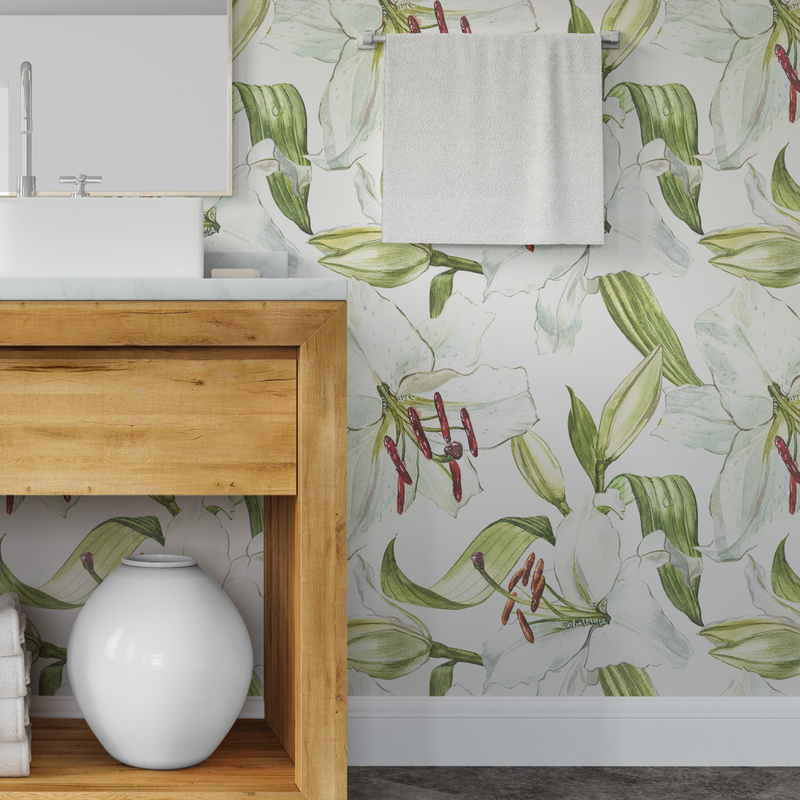 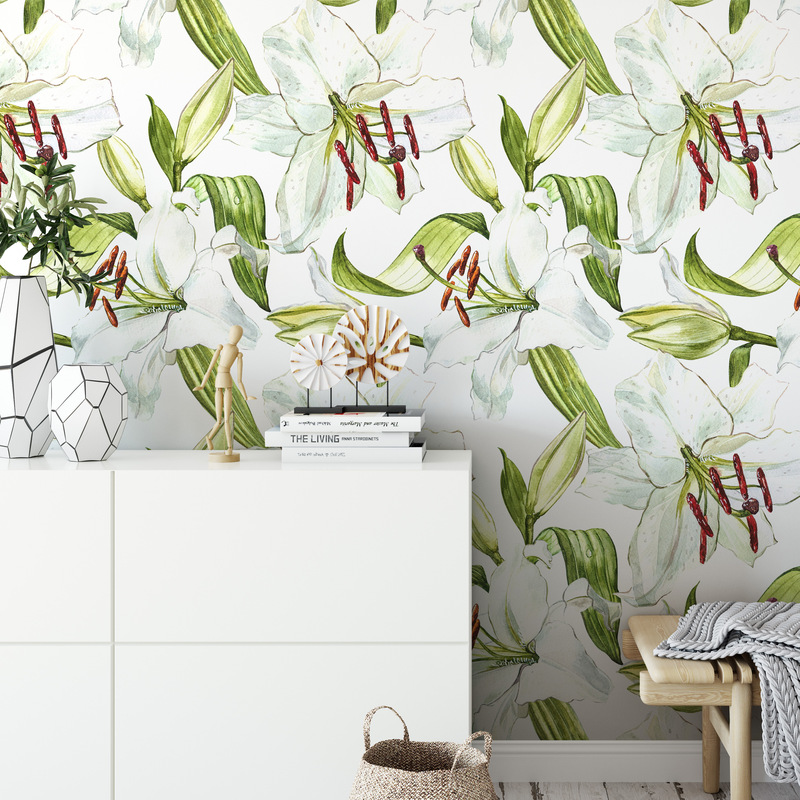 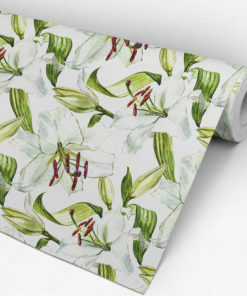 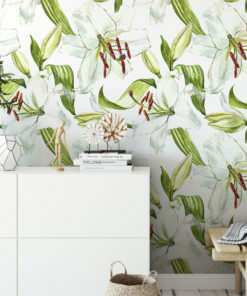 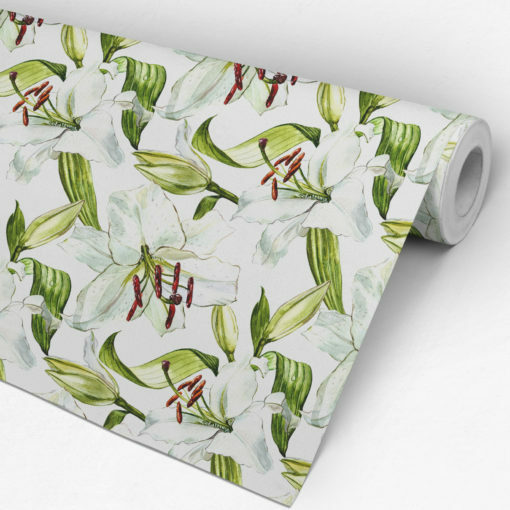 Our peel and stick wallpapers will certainly transform any room of your home or office, quick and mess free with the Lily Watercolor Pattern Wallpaper. 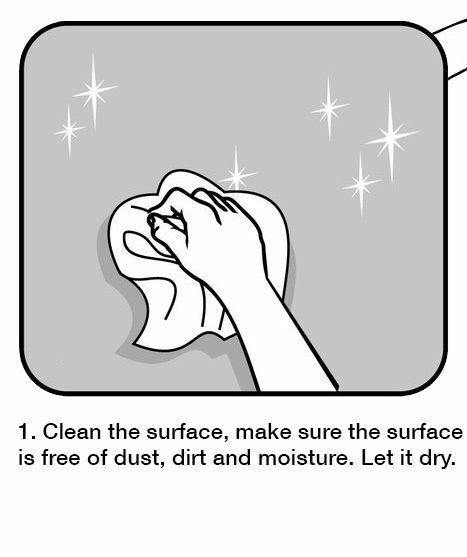 – Most noteworthy, gently clean it with a dry microfiber cloth. 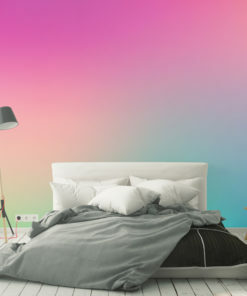 – Finally, do not apply on fresh painted walls, let them dry for about 3 weeks. 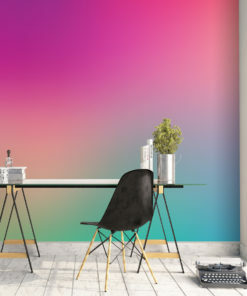 – Wallpaper is slightly translucent. 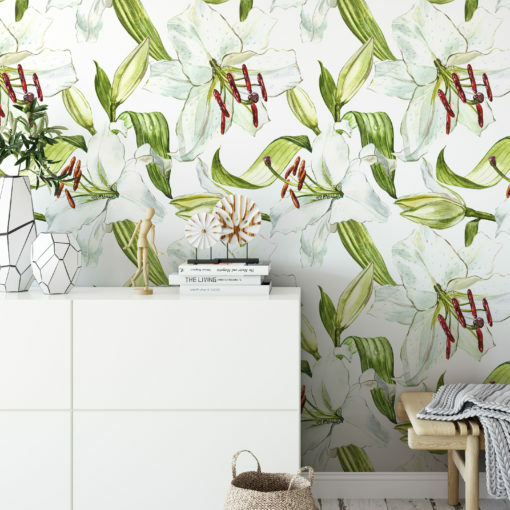 – What should i do if the wallpaper or the edges start to peel off? 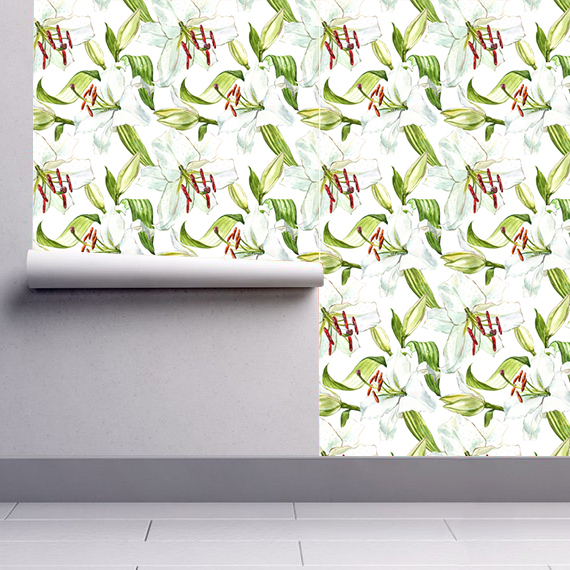 Certainly use a hair dryer and apply heat to the tile stickers and with a smooth cloth make pressure (do this process also on the edges). 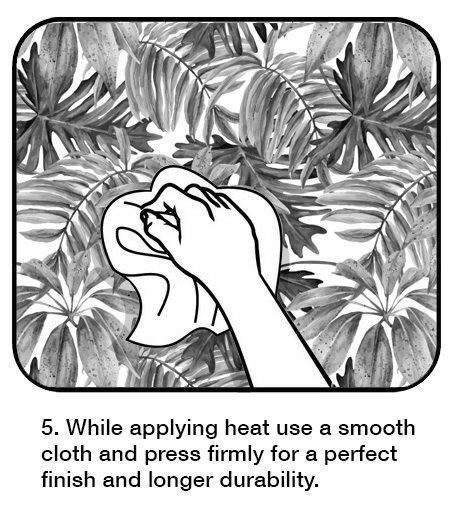 Use a dry microfiber cloth and certainly do not use abrasive materials. 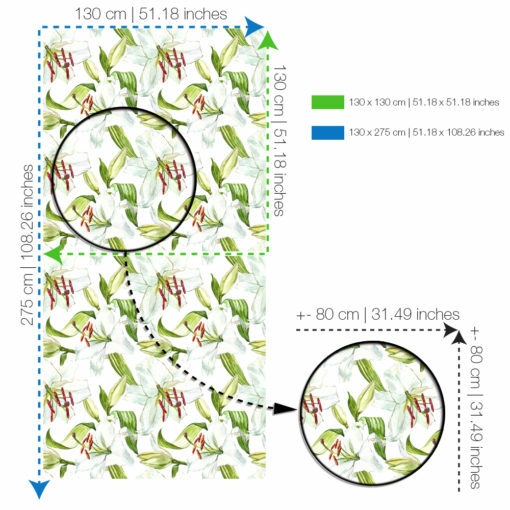 – How can i remove them? 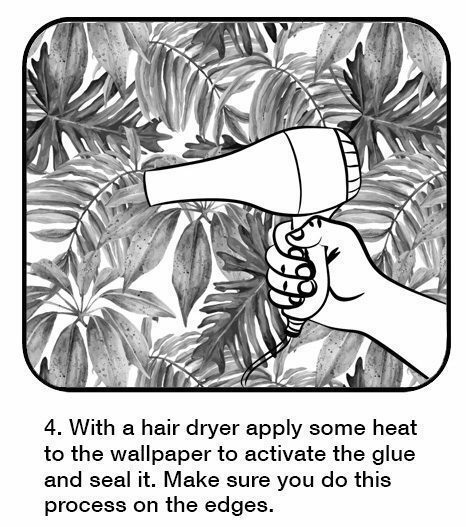 Use a hair dryer and apply heat to the wallpaper to activate the glue while you peel it off slowly. 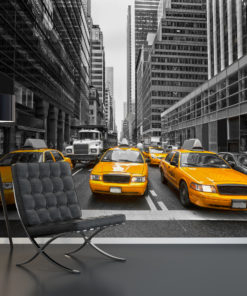 – Is the wallpaper totally opaque? 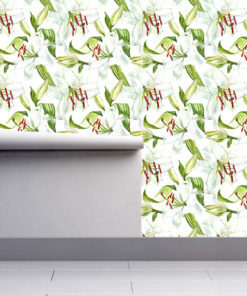 No, because it is slightly translucent. 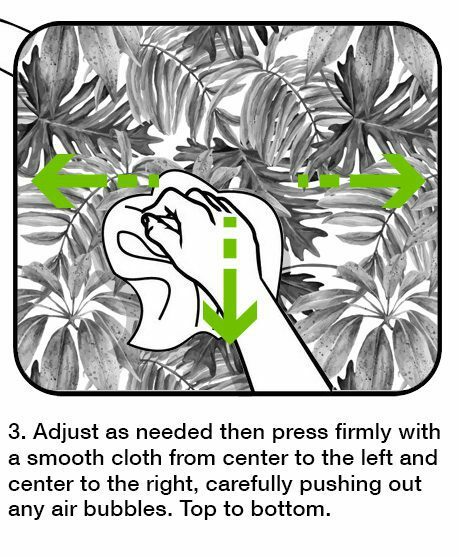 Yes, you may cut it with a professional knife or with scissors. – Do i need to apply glue or paste? 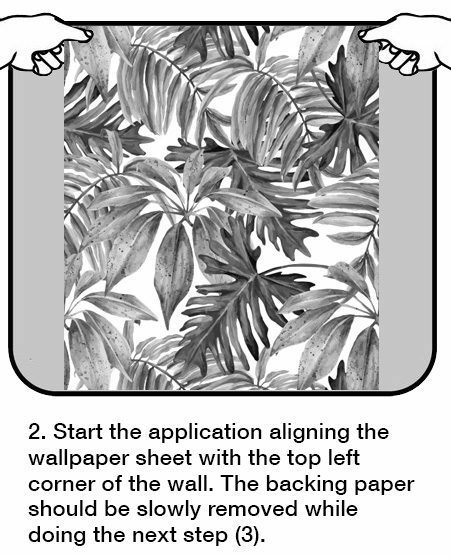 No, the wallpaper is self-adhesive wallpaper. 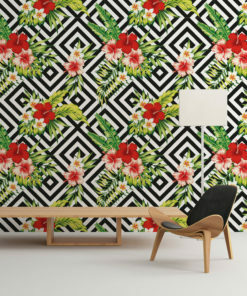 We will customize the wallpaper to the size of your choice, contact us! 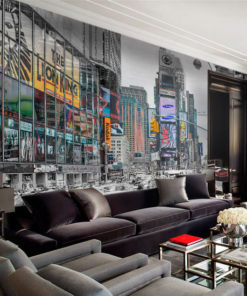 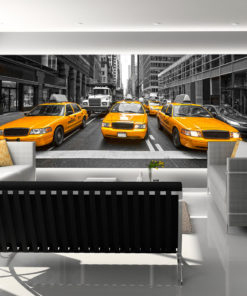 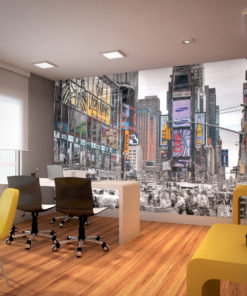 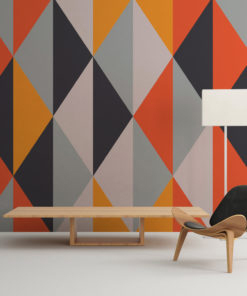 Click for more amazing Wall Murals.